A Precarious Transition And National Government? The last time Sri Lanka had a president and cabinet of ministers from two different parties was in the 2001 – 2004 period: the Sri Lanka Freedom Party (SLFP) and the United National Party (UNP), respectively. PresidentChandrika Kumaratunga (SLFP) was re-elected in 1999 and in 2001 the coalition headed by Ranil Wickramesinge (UNP) won the general election. The expected cohabitation between the two failed because the president used her constitutional powers and prematurely dissolved parliament in 2004. 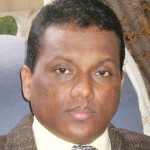 The UNP government collapsed with the dissolution of parliament. Sri Lanka has been forced into a SLFP-UNP combination again following the recently concluded presidential election. Chairman of the SLFP Maithripala Sirisena is now the president and the cabinet is headed by UNP leader Ranil Wickremesinge. The combination seems to be sailing smoothly and the cohabitation between the two will not be a problem, at least in the short term. The main difference this time around is the fact that President Sirisena was elected mostly with the UNP votes in January 2015. Therefore, he will not allow his party men to topple the government until the 100-day reform program the government has announced is completed. This reform program is President Sirisena’s election promise. However, the Prime Minister has already declared that the parliament will be dissolved in April of this year, presumably after the reform program is concluded. This suggestion leads to several unanswered questions. The most crucial and intriguing question is, what would be the position of President Sirisena in the forthcoming parliamentary election? Although the President and the Prime Minister are talking about a national government, the indication is that the SLFP will contest independently or with its minor allies as the United People’s Freedom Alliance (UPFA). Would President Sirisena, as the chairman of the SLFP, underwrite his party? Or would he support the UNP and its allies? Both are tricky propositions. Supporting and propping up his party would force him to betray the people who voted him to power. 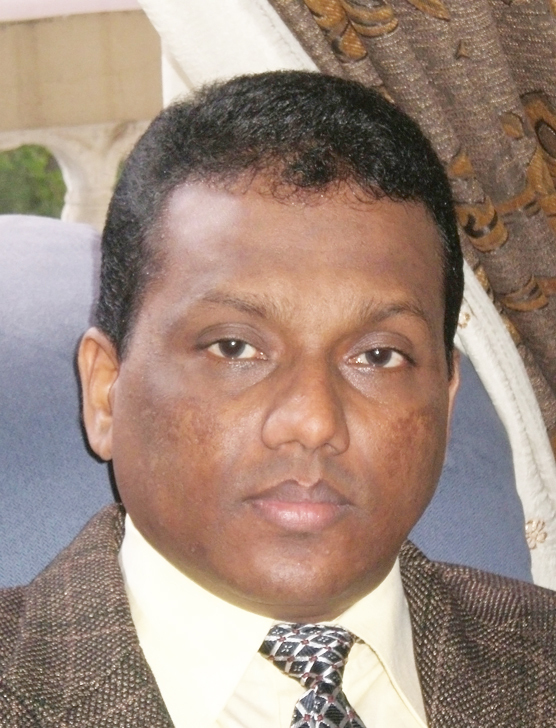 Throwing his weight behind the UNP-led coalition would jeopardize his position within the SLFP. As a compromise, the president may very well choose to stay neutral in the parliamentary election. However, a neutral stance of the president will indirectly favor the SLFP and force the UNP into a sort of crisis. The UNP cannot be too confident about the general election in April, if one goes by the recent (presidential) election results. In the last presidential election the UNP-led coalition obtained 51.3 percent of the total votes cast. This coalition is unlikely to be intact, as some of the coalition partners will certainly contest alone. For example, the Tamil National Alliance (TNA) which endorsed the UNP-led coalition and Sirisena’s candidacy, will contest independently. The Janatha Vimukthi Peramuna (JVP), which desisted from contesting in January 2015 will also contest. Presumably, the JVP votes went to Sirisena in the presidential election because the party indirectly campaigned against Rajapaksa. These two parties combined will take about eight percent of the votes Sirisena gained in January. Therefore, the UNP or a UNP-led coalition will find it difficult to gain 50 percent of the votes in the general election. Meanwhile, the 47.6 percent votes Mahinda Rajapaksa polled could be solid SLFP votes, which probably will go to the SLFP or an SLFP-led coalition. Possibly, the only major problem the SLFP will have is the Ceylon Workers Congress (CWC), which could defect and join the UNP. Defection of the CWC will not dent the SLFP votes too much because the plantation Tamil votes are already split between the CWC and parties that support the UNP. Therefore, if the parliamentary election is held today, the SLFP (and its partners) probably will gain more than 50 percent of the seats in the national legislature. The UNP has about three months to address its electoral concerns. The government is in the process of undertaking three major schemes: (1) introducing constitutional and other reforms to address problems of good governance, (2) trying to address the now deep-rooted culture of corruption in the country, and (3) introducing relief measures to target issues created by the high cost of living. The new government through its interim budget has offered a number of relief measures, including price reduction of some of the essential goods and salary increases. Obviously, one of the objectives of these schemes, especially the interim budget, is winning more votes in the forthcoming election. These actions may fetch more votes, but they do not guarantee a victory for the UNP-led coalition. The problem is that a possible collapse of the present bipolar arrangement with President Sirisena and Prime Minister Wickremasinge at the helm will be a setback for the people who spearheaded the change of governance in January. This could also reverse the reform agenda. A regular election would allow the corruptors, abusers and authoritarians to return to power with ease. A regular election would not be a good idea until the political culture is modified and reformed. A solution to this dilemma might be possible if President Sirisena could engineer a short-term alliance based on an electoral pact between the UNP and the SLFP to form a national government. A short-term alliance between the UNP and the SLFP in order to successfully complete the reform program might be the answer to various problems that could emanate from an immediate general election. The history between these two parties does not suggest that they can come together or coexist. On the other hand, currently they are together because the president and the cabinet are cohabitating effectively. Therefore, an arrangement based on the notion of a national government comprising the SLFP and the UNP could be an extension of the present reality. They can part ways when the democratization process is over. One of the drawbacks of this idea is that there will not be a strong opposition party in parliament because both major parties will be in the government. An effective opposition is important for good governance. However, if the UNP and the SLFP could come together, the responsibility of leading the opposition will rest with the JVP or the TNA. The JVP increasingly is becoming a responsible party promoting democratic ideals. It could continue to be an effective watchdog. Therefore, leaving the opposition to the JVP cannot be such a bad idea. If the TNA wins more seats to become the main opposition, it will be the second experiment. The first experiment in 1977 failed badly.